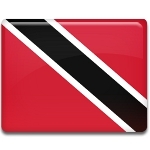 In Trinidad and Tobago, Labor Day is celebrated on June 19 each year. This public holiday commemorates the labor riots of 1937, which launched the country's modern trade union movement. Labor riots in Trinidad and Tobago were part of the labor unrest in the British West Indies that lasted from 1934 to 1939. The unrest served to highlight inequalities of wealth in the British colonies in and around the Caribbean. In Trinidad and Tobago, several riots took place between 1935 and 1937. Most of them were led by Tubal Uriah Butler. For instance, in 1935, Butler led a hunger march from the oilfields to Port of Spain. The riot that led to creation of the trade union movement began on June 19, 1937. The 1937 strike began in the southern Trinidad. Oilfield workers protested against low wages, poor working conditions, exploitation and racism. Strikes quickly spread throughout Trinidad and involved all major sectors of workers. The riots were quelled on July 2. On July 25, Butler formed the Oilfield Workers' Trade Union that would become one of the most powerful trade unions in Trinidad and Tobago. The anniversary of the 1937 labor riots is now observed in Trinidad and Tobago as labor day. The holiday celebrates the achievements of the country's labor movement.